The Air A01 is an innovative and affordable lens-style digital camera that can perfectly work with various mainstream smartphones, including iPhone 6 Plus and Galaxy Note 4. The Air A01 measures 2.2 x 2.2 x 1.7 inches, weights 5.19 oz, and with its custom clips, you can easily attach the lightweight and sleek body to your smartphone, and it keeps your phone at a tilting angle for comfortable viewing and shooting. The compact camera features 16MP Digital Live MOS sensor, TruePic VII image processor and FAST AF system in order to deliver you quick response and high-quality imaging, and Air A01 also features Micro Four Thirds lens mount, so it’s completely compatible with all lenses for MFT and works with adapters for expansion. 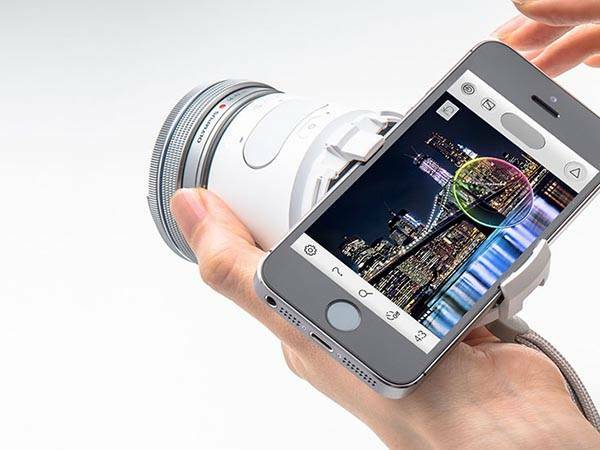 Furthermore, as a smartphone camera, Air A01 has built-in WiFi and Bluetooth for easily paring with your phone, and multiple custom apps provide you simple and quick controls and numerous creative elements. You can also easily share photos and videos with your friends and family. Apart from that, the lens-style camera supports 1080p video recording its rechargeable battery is unmovable, and using microSD slot expands its storage. 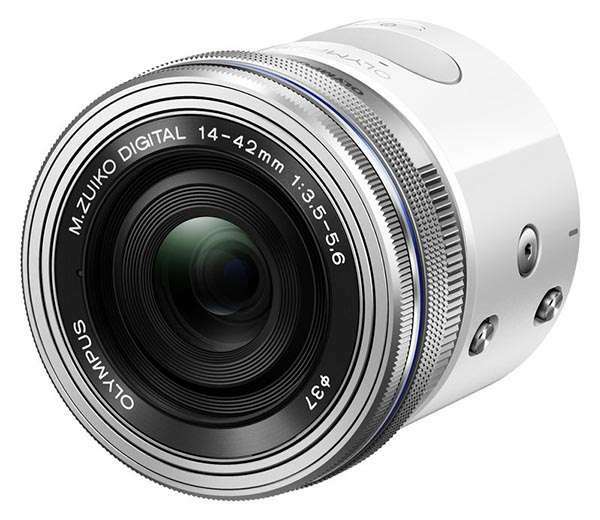 Olympus AIR A01 lens-style digital camera is priced at $299 USD, and a bundle with 14-42mm EZ lens costs $499 USD. B&H has started accepting preorders for the both of them.